ICTO - FAQ » Communication & Collaboration » UM URL Shortener » What is Link Preview in UM URL Shortener? 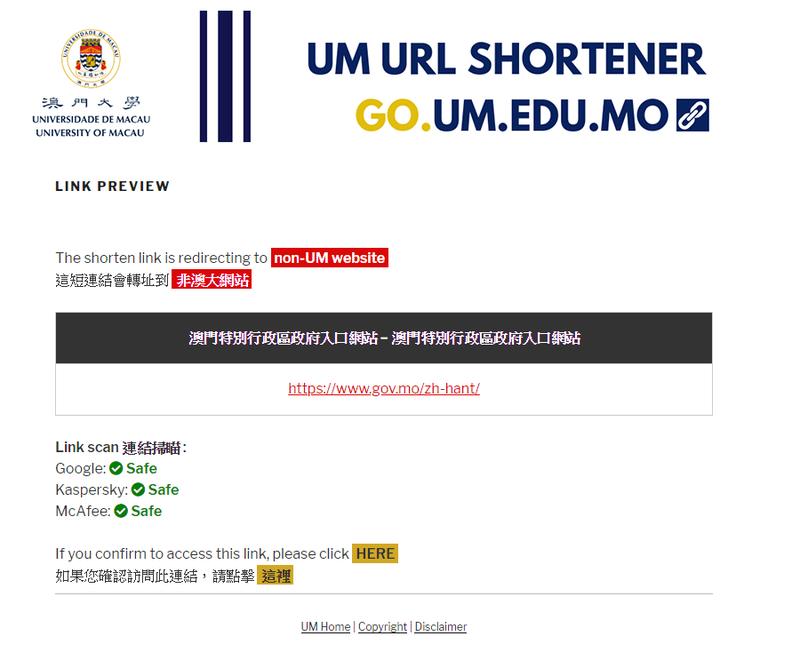 If the shorten link is redirecting to non-UM website, you will see a Link Preview page showing the information of the target link. Moreover, the link scan results by 3 public service providers are also shown. You can click “HERE” if you confirm to access the website. How do I add new link in UM URL Shortener?